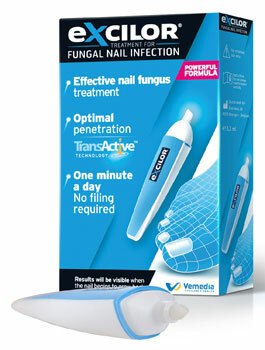 New Treatment for Fungal Nails. Emtrix® is an easy to use, topical formula clinically proven to eliminate fungal nail infections and improve nail health and appearance. Developed in Sweden, Emtrixs unique formula utilises three active elements to normalise thickened, deformed nails and reduce discolouration whilst eliminating fungal infections and psoriasis without the need to file. Active Ingredients of propylene glycol, lactic acid and urea work together to create a four-in-one formula which works to quickly and efficiently restore your nails to full health. Lactic acid and urea soften and gently peel away the damaged layer of the nail, reducing discolouration and improving the nails appearance. Emtrix alters the nails microenvironment making it impossible for fungus to thrive. Emtrix binds moisture to the nail, eliminating dryness and brittleness, resulting in a healthier, more natural appearance. Emtrixs unique formula penetrates deep into the nail, healing and hydrating the whole nail, not just the outer layer. For maximum effectiveness, Emtrix should be applied to the affected nail once per day as part of your bedtime routine. Results will be visible after 2-4 weeks. Continue the treatment until a normal, healthy nail has grown out, which can take from 3-6 months. Emtrix has been tried, tested and proven across several studies including over 500 patients. After 8 weeks 9 out of 10 participants reported that their nails had become less thickened, less discoloured and less brittle. Clinical trials also reported that Emtrix destroyed the nail fungus it was tested against, proving Emtrixs effectiveness. Emtrix adds and binds moisture in the nail, whereby the moisture balance is restored. This affects the nails condition and gives your nails a healthier appearance. 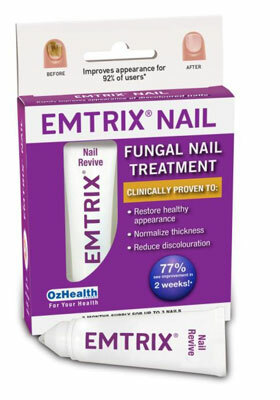 Emtrix changes the nails microenvironment so that the nail fungus no longer can thrive. *Please note results vary from patient to patient depending on the severity of your fungal nail infection and your individual response to treatment. Often patients disguise the infection by using nail varnish but this only covers up the infection. Left untreated the fungi continues to spread and the condition gets worse ultimately resulting in the loss of the nail. 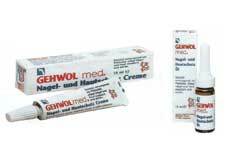 GEHWOL FUSSKRAFT preparations contain combinations of selected natural substances and are recognised as being highly effective. This product contains high-quality conditioning ingredients wheatgerm oil, panthenol and bisabolol to care for the nails and cuticles. The tried and trusted ingredient clotrimazole treats fungal nail infections. Repeated application allows penetration of the nail plate, eradication of the fungus and healthy growth of the nail. Paint on fungal nail once or twice daily on a regular basis. This product contains the high-quality conditioning ingredients wheat germ oil, panthenol and bisabolol to care for the nails and cuticles. 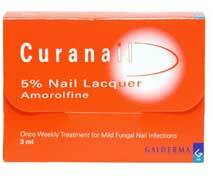 The tried and trusted ingredient clotrimazole treats and cures fungal nail infections. 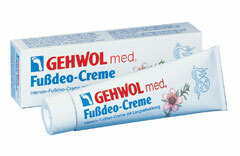 This can be used in conjunction with gehwol nail softener. Massage into cuticles and fungal nail once or twice daily on a regular basis. Mykosept Plus - Mykosept Plus with AM Factor is a transparent polish that forms a protective coating on nails. 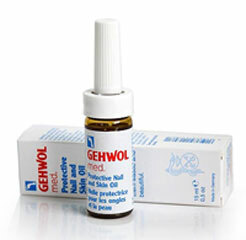 It contains the patented ingredient piroctone, which is used to treat fungal nail infections. 3ml bottle with applicator, files and instructions. Once weekly treatment for fungal nail infections. For Adults 18 years and over. To be applied once a week. Always read the product information before using this medicine. Click on the button below to read further information. Do not exceed the stated dose. Enriched Nail Polish with a patented blend of naturally occurring, non-toxic, nourishing ingredients not found in traditional lacquers. Every bottle is free of formaldehyde, formaldehyde resin, toluene, parabens, and phthalates all potential carcinogens. health and vitality of your nails. Enriched Nail Polish is not an antifungal medicine nor is it intended to treat or cure fungus. It is however; an extremely gentle, highly nourishing nail varnish which contains vitamin e which can strengthen the nail and improve the vitality of your nails.